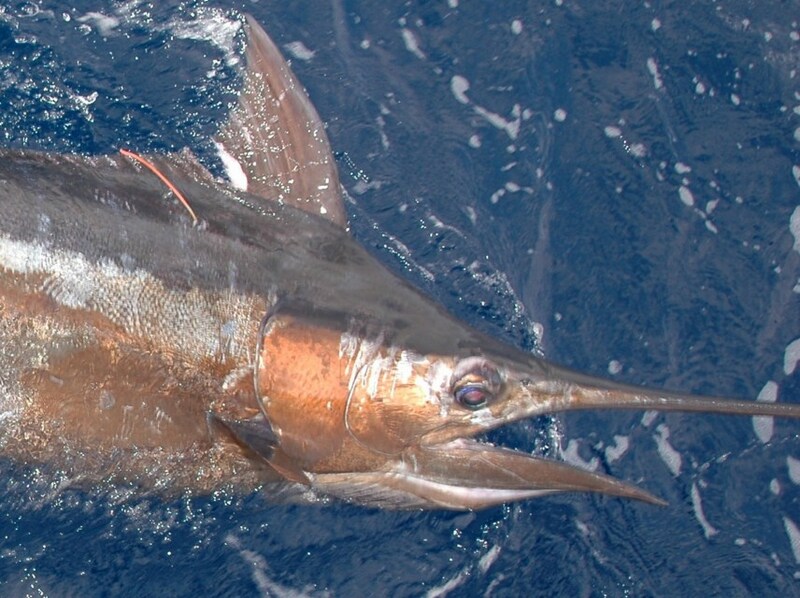 Ranging in size from 150lbs to 1,000lbs they can be caught trolling lures, skip-baits or livebaiting. 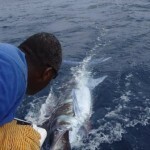 Because of the deep trenches running either side of Kadavu island, the 1,000 fathom line is only a few miles off the reef. 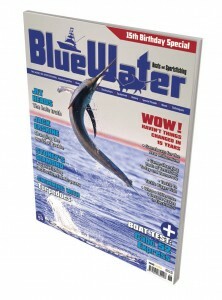 Here, blues have been raised as close as 500 yards from the outer barrier reef slopes. 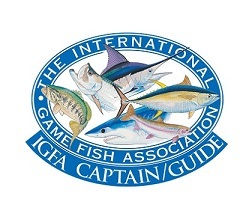 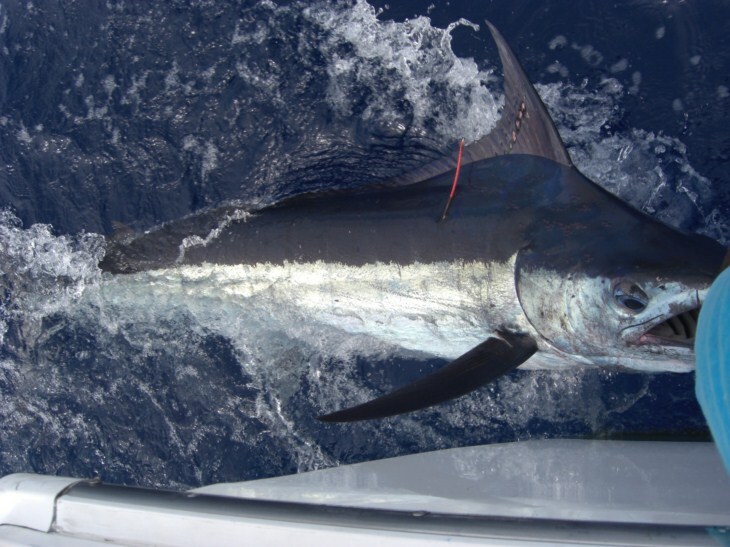 When the large shoals of skipjack amd yellowfin tuna mass along the outer reef edge, the blues move in close and a number of surprise blues have been hooked and fought by anglers trolling in close for wahoo and sailfish. 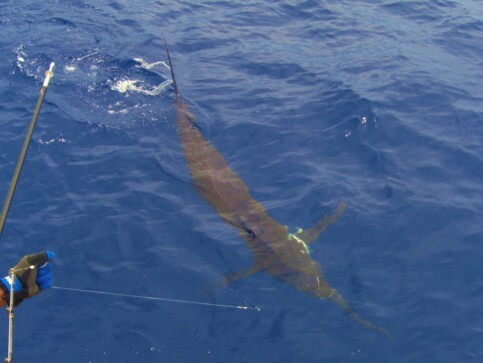 We usually troll 12″-14″ skirted lures for blues until we find a school of tuna. 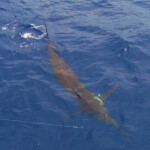 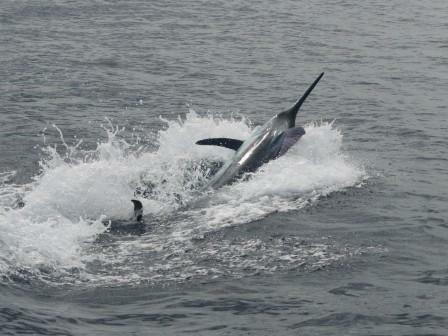 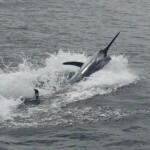 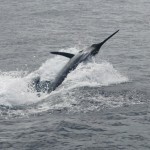 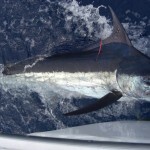 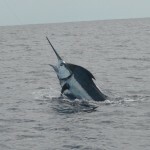 Then we usually switch to tuna skip-baits if we believe a marlin is in the area. 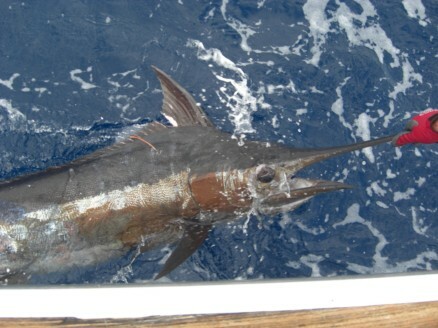 In fine weather on the Kadavu seamount we sometimes stop over a tuna school and livebait. 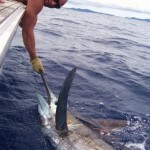 A very effective method of marlin fishing, it does however have its draw-backs when the occasional hammerhead or tiger shark pinches a bait. 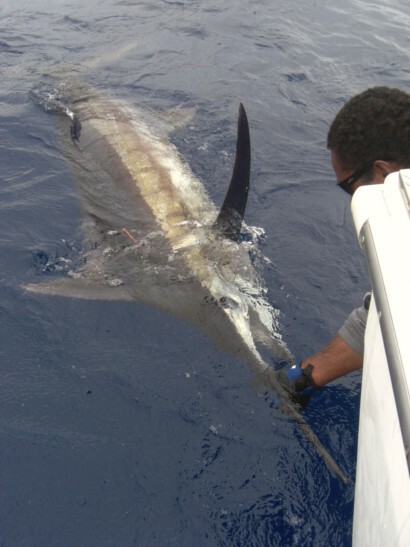 For blue marlin, January – March is when we target the big girls. 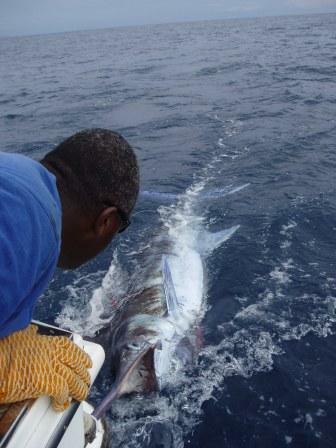 We have boated blues to 500lbs but fought and lost blues in excess of 800lbs. 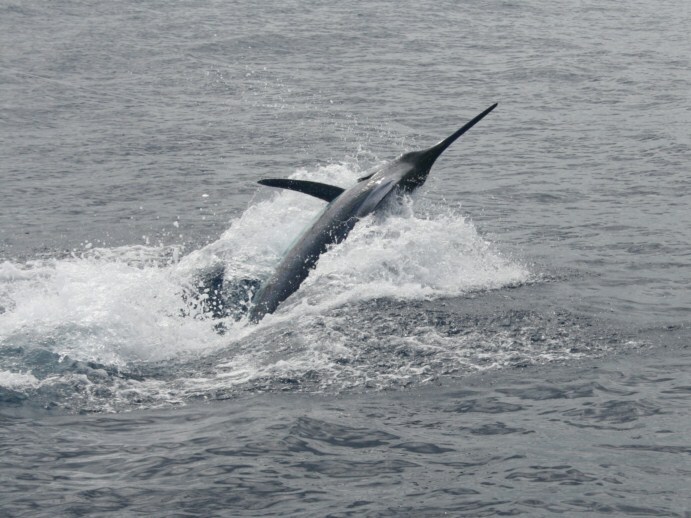 During the rest of the year, most blues range from 150lbs to 400lbs though the occasional really big blue is still encountered year round. 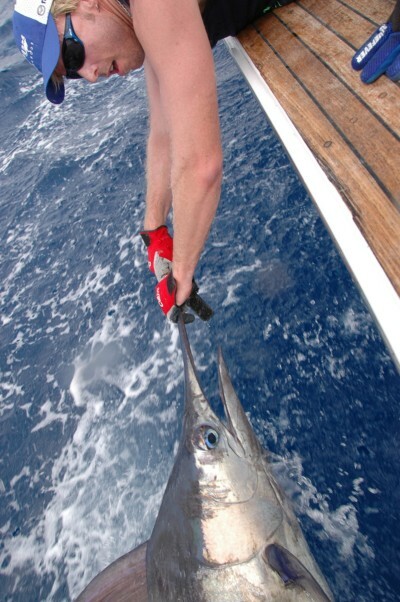 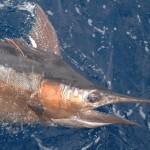 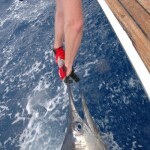 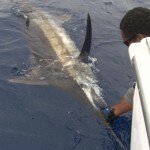 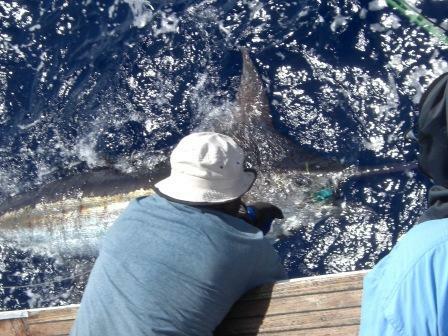 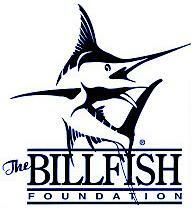 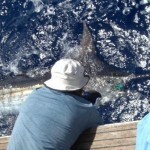 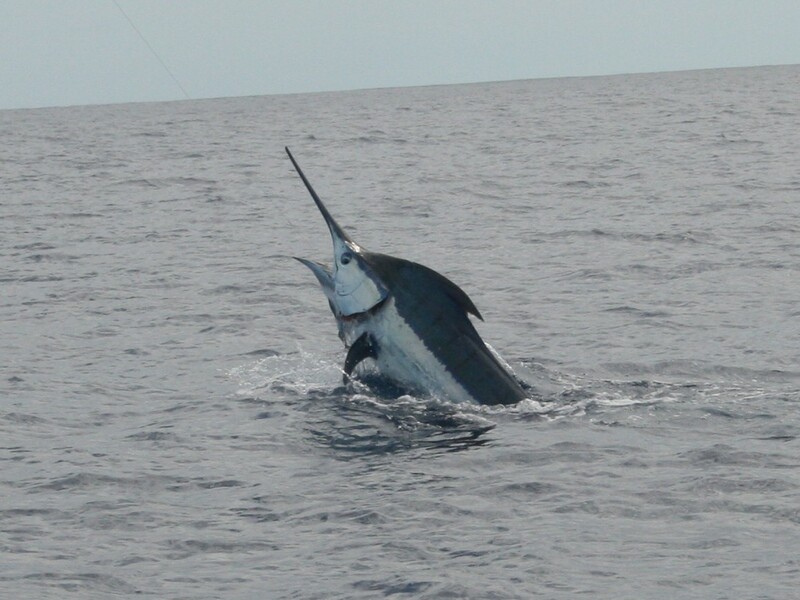 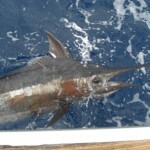 It is our policy to tag and release all billfish. 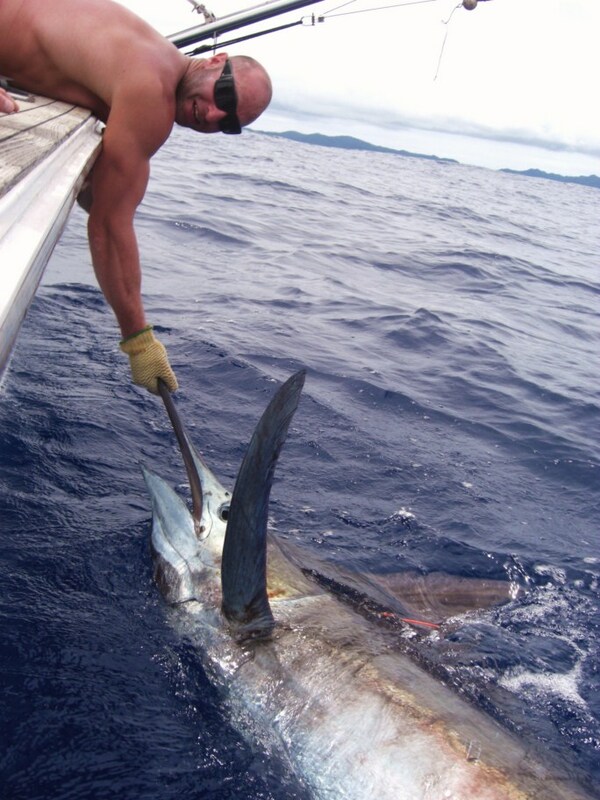 If we are sure that a billfish is a World or Fiji National Record we offer the angler the choice of taking the record or tagging & releasing.